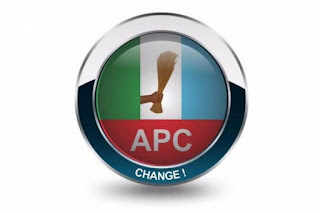 POLITICS – Latest news report as the Enugu State Chapter of the All Progressives Congress (APC) on Friday announced its decision to take up the cost of printing President Muhammadu Buhari’s campaign posters for the 2019 election. Meanwhile Buhari on Thursday in Kano hinted of his plans to run for a second term in office. This came after the Kano State chapter of the APC joined Enugu to endorse him as a sole-candidate. Reacting via a statement by its publicity secretary, Mrs. Kate Ofor, the Enugu APC commended the Kano State Chapter “for not only joining us in endorsing President Muhammadu Buhari for the 2019 presidential election, but for electing to buy nomination form for him. “We are in league with Kano APC and wish to compliment their efforts by electing to print posters for Mr President’s bid for the 2019 presidential election. For it is our conviction that by then the solid infrastructural projects Mr President is laying must be pronounced. “May, we once more state that our support for President Buhari is based on his uncommon integrity quotient, avowed commitment to our dear country and selfless service in all his years as Minister of Petroleum, GOC, Head of State etc. “These qualities of his are internationally acclaimed, hence the seamless flow of foreign direct investment under his regime”, it added.